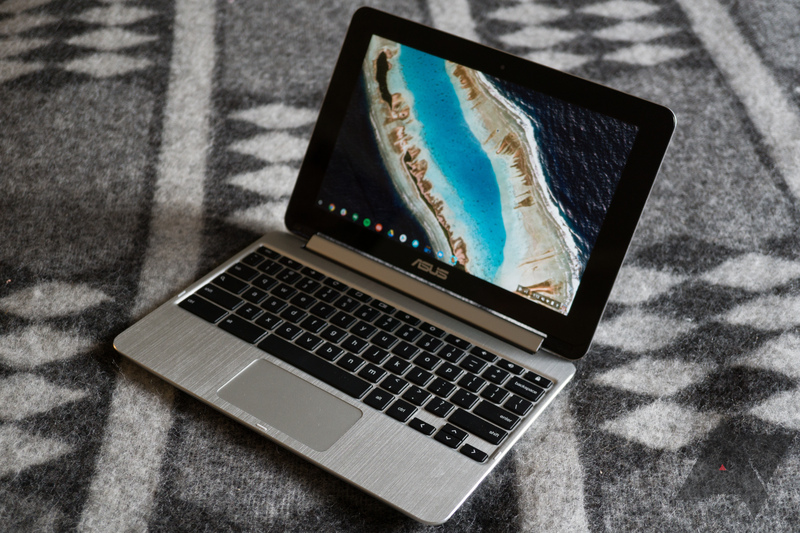 Version 62 of the Chrome browser was released a week ago, and Chrome OS updates usually follow closely behind. Chrome OS 62 has started rolling out to Chromebooks, featuring improvements to the file manager, a new design for Chrome OS notifications, fixes for the KRACK vulnerability, and more. Firstly, the file manager now works much better when used with a touchscreen. Previously, holding down on a file with your finger would open the right-click context menu. Now it will select the file, and you can tap additional files and folders at the same time. You can then drag them to another folder in the sidebar (or current directory). Chrome OS usually doesn't involve much file management in the first place, but this is a welcome improvement. Secondly, notifications in Chrome OS now look a bit different. Previously, notifications from Chrome looked virtually identical to those from Chrome on Windows. But now, they closely match Android-style notifications with large Material Design buttons and small app icons. Also, the screenshot notification now shows a preview of the image, much like on Android. 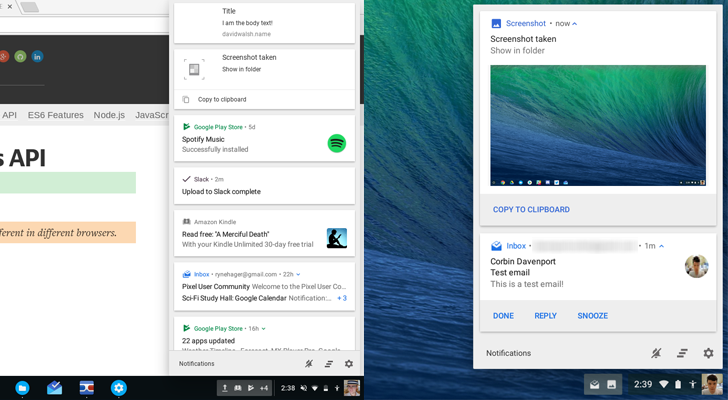 Left: Chrome OS 61; Right: Chrome OS 62. There are a few other improvements in this update as well. The KRACK WPA2 vulnerability has been fixed, inbound network connections in ARC++ are now supported, captive portal detection has been improved, and more.